The Senior Year Electro-optical Reconnaissance System (SYERS), an Itek sensor installed in the U-2, is the only operational American dual-band, real-time reconnaissance system. The U-2 SYERS imagery satisfies a large percentage of theater commanders' imagery requirements. SYERS is the electro-optical daylight/fair weather imagery sensor on the U-2. The long focal length sensor provides deep look, high resolution, near-real-time (NRT) imagery to the warfitghter. 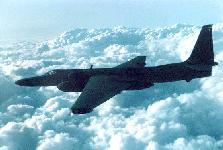 The U-2 also carries the Hughes Radar and Communications Systems' Advanced Synthetic Aperture Radar System (ASARS-2), an imaging radar system, as well as the 30-inch Optical Bar Camera (OBC) and a 24-inch IRIS camera. Both of these are panoramic format film sensors. SYERS was developed under specialized management with no formal documentation. This black world program (1992-1993) transfered to white world due to DARO cancellation. Due to lowering of classifiction of the U-2 program, all future aquistion will be done in accordance with DoD 5000 series regulations. Hughes [ex-Itek] is developing a low-cost, small, compact, lightweight electro-optical/infrared (EO/IR) dual-band reconnaissance sensor for tactical as well as high-altitude standoff applications. This sensor is a derivative of SYERS. The DB-110's direct viewing reflective optic sensor is inertially stabilized to provide high- resolution imagery when operating in severe vibration environments. Its visible silicon CCD focal plane with TDI (time delay integration) and high quantum efficiency indium antimonide (InSb) IR focal plane provide continuous ground coverage, spot coverage, and stereo coverage in both bands simultaneously or individually, over a wide range of operational conditions. The sensor's small size and its light weight permit pod installation or in-board installation in various high-performance aircraft and unmanned aerial vehicles. The DB-110 sensor system includes a reconnaissance management system (RMS) and is intended to interface with various airborne digital tape or solid state recorders and digital datalinks for real-time transmission to ground stations. SYERS, which will downlink to ETRAC by 4QFY97, currently has a 137 Mbps data-rate, though future upgrades are expected to increase the downlink to 274 Mbps and processed imagery to 650 Mbps. Congress initiated and sustained for several years an upgrade to the SYERS imaging sensor which among other things would allow it to be carried in the "Q-bay" of the U-2, such that a radar sensor and the SYERS electro-optical sensor could be flown simultaneously, so that in wartime this dual capability could free another U-2 aircraft to fly other missions. However, the aircraft fuselage may have to be modified in order to carry SYERS in the Q-bay. Specifically, a "canoe" would have to be added to allow the camera to image beyond 45 degrees. However, the Air Force is, at a minimum, reluctant to undertake any modification to the U-2 airframe, no matter how small, aside from issues relating to safety or flight, in anticipation of the replacement of the U-2 by platforms such as Global Hawk. Thus the FY98 intelligence authorization bills directed the Air Force to provide a report to the congressional defense and intelligence committees by March 15, 1998, on the need and the costs to design and procure the number of "canoes" necessary to allow SYERS and ASARS to be flown simultaneously. The Multi-Spectral Electro-Optical Reconnaissance Sensor [formerly the Advanced Electro-Optical Recon Capability] SYERS upgrade would improve SYERS capability at night or in fog or haze by adding Multi-Spectral capability. Additionally, resolution, geolocational accuracy, and broad area coverage would be increased by improving sensor stability. SYERS is currently in production, therefore this upgrade will be done as a P3I. The SYERS upgrade program provides for improved resolution, range, and geolocation accuracy, and improved performance in darkness, haze, and inclement weather. The ORD calls for 16 sensors with 12 required for FOC. The FY 98 PB funds the 6 initial sensors. This initiative funds 3 additional SYERS P3I sensors, bringing the total number to 9. The multi-spectral capabilities of the SYERS P3I upgrade will provide war fighters with the ability to locate, identify, and analyze military equipment through haze day or night. It will defeat enemy camouflage, concealment, and deception efforts, and improve geolocation accuracy for NRT targeting of artillery, PGMs, or long-range standoff weaponry.